Have you been in a car accident? Report the accident immediately and call us now. Same day appointments for all automobile accidents. There are almost 200 car crashes in the twin cities area and state wide daily. Whiplash is very common and can occur even after a low speed impact. Both drivers and passengers are at risk of painful, lingering conditions if left untreated. Advanced Health PA offers a wide variety of comprehensive auto accident injury treatment options to address your personal condition and injury. Each patient is unique. Treatment plans based on your individual needs are custom designed to help recovery as quickly as possible. Advanced Health PA has been successfully treating whiplash, headaches, and back pain resulting from motor vehicle injuries for over 30 years. Dr. Hebeisen is highly qualified to assess and treat patients following vehicle accidents. Dr. Gregg Hebeisen, D.C. is a highly educated and experienced chiropractor, acupuncturist, massage therapist, and personal trainer. Having suffered a sports injury, he understands the importance of comprehensive and personalized treatment. Dr Hebeisen is continually selected as a Best America and Minnesota Chiropractor. Blue Collar work and being a Red Cross instructor and Industrial consultant has given much practical experience. Amy Schmeling is a priceless massage therapist with healing hands and gentle spirit. They have helped countless patients throughout Blaine, Columbia Heights, Mounds View, New Brighton, and beyond recover from Auto Accident injuries and other ailments. Stop suffering from debilitating autoinjury. What you should know about auto accidents and injuries in Minnesota. • What is no-fault auto insurance? The Minnesota no-fault automobile insurance law was designed to simplify everything. The law states that your auto insurance will pay medical bills and fix your vehicle. You only need to report the accident to your own company. • Who pays my medical bills and car damage? Your own insurance company will pay your medical bills. Payments are usually made directly to the clinic so you do not have to worry. 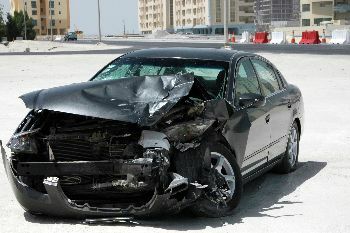 Who caused the accident determines which insurance pays for car damage. • If I am injured in an auto accident, can I go directly to my chiropractor? The Minnesota no-fault law states that you can go directly to the chiropractor without a referral. We will send you to a medical specialist if a second opinion is necessary. We also have direct access to MRI imaging centers. Advanced Health PA also features therapeutic massage and physical rehab. These services are paid by auto insurance. • What other benefits do I have under the no-fault law? Lost wages if you miss work because of injuries. Household help if injuries prevent performing essential services such as cleaning your home , shoveling snow, and cutting grass. • Do I need a lawyer to collect my no-fault for me? Most automobile accidents do not require a lawyer to obtain benefits or car accident injury treatment. If significant injury is the fault of someone, you will want to contact a lawyer. Our office works with some of the best attorneys in the Twin Cities. We can give referrals to an attorney. Stop suffering from debilitating headaches, neck and back pain. Call 763-571-9499 to make your appointment.